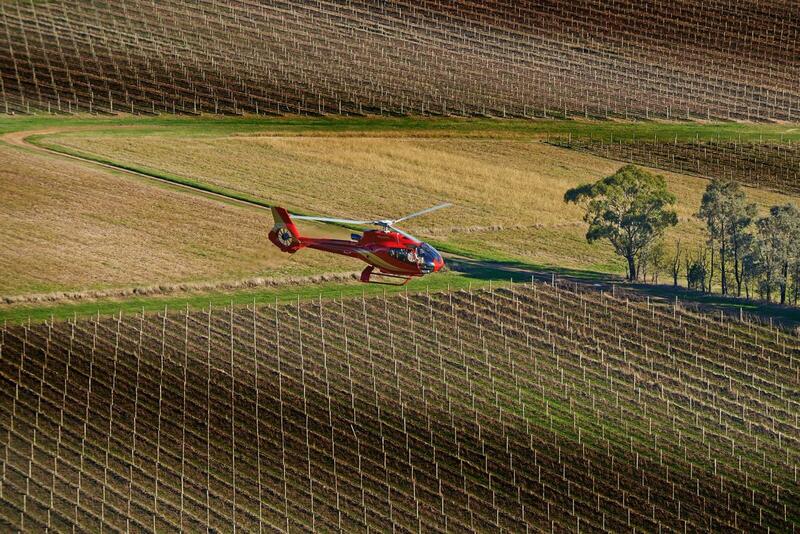 Take to the skies for an indulgent introduction to the Yarra Valley. An ideal option if you're time poor and have something special to celebrate with a loved one, family, friends or staff. Departing from the city aboard your single or twin-engined Eurocopter helicopter, the flight path takes you out above the meandering Yarra River and bush laden suburbs of the north-east to the vineyard clad hills of the Yarra Valley and the site of Victoria's first vineyard, Yering Station. Following the 25 minute fight and a gentle descent, you'll be greeted with a glass of Yarrabank sparkling before your wine tasting in the original winery (circa 1859) and a private guided tour of the underground barrel hall. You'll then adjourn to the stunning Wine Bar Restaurant for a superb 3 course a la carte lunch that will be matched to estate wines. Indicative times of 11:15am to 3:45pm would apply but will be confirmed prior to the date of travel. The departure point is from the helipad located on the northern bank of the Yarra River, opposite Crown Casino. The above assumes a private group booking for 2 people.